By Laura. Posted December 6, 2010 at 1:10 pm. So, uh, long time no post? Well, a post a month still is an improvement! So let’s get down to it. 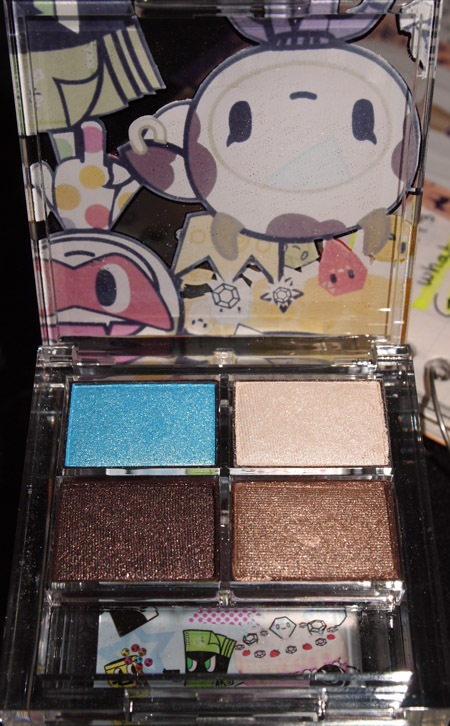 After I got the large Tokidoki palette, I was interested in trying most of their stuff. Unfortunately, not very many of their colors appeal to me. 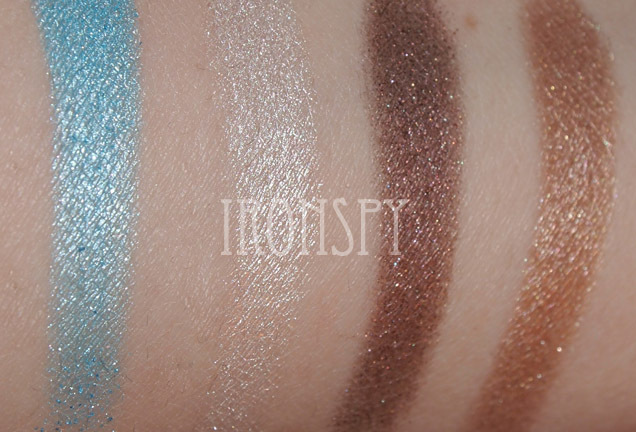 However, the Mozzarella Palette’s combination of browns and a pop of blue had my name written all over it. Neutrals set off with a pop of color is kind of my thing lately, and also why I love the Guerlain 6 color palettes so much (I have 3 of those, soon to be 4, and eventually I’ll post some looks with them). To the pictures! Pigmented and smooth to boot! I love the quality of the shadows in this palette. Pigmented, smooth, blendable. The colors itself are definitely neutral (except perhaps for the last brown, but it still isn’t OTT warm), so it would work on anyone. Why does this angle make me have Evil Brow?? Can see the color pop better here! 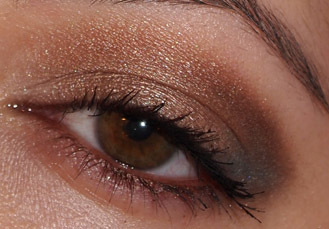 For this I used the lightest shade on the inner corner, lighter brown shade on the outer third of lid, darker brown in the outer v and up into the crease, then finally just used a pop of the blue on the outer corner. Probably could use more blue next time, but this gives the idea of the “neutrals with pop” look that I’m obsessed with currently. I’m loving this palette!